Thanks for everyone how came out to my clinic today! As requested, here’s a download of the presentation. While you’re here, I’d like to invite you to join my mailing list and keep track of my doings along with my label Hollistic MusicWorks. What a thrill to play great new original music and record live with this incredible band! Zaccai Curtis’s “Algorithm Suite” is a beautiful, intriguing, and stimulating extended piece of music, to listen to and to play. 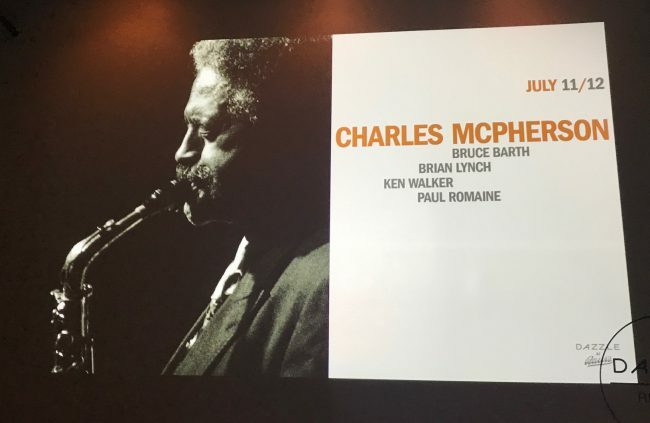 And the quintet of Zaccai (piano), his brother Luques on bass, the great Donald Harrison on alto sax, the magnificent Ralph Peterson, Jr. on drums, and yours truly on trumpet, was exhilarating. This was something else – more than a full week of working and playing with high school and adult education ensembles from the Greater Calgary area. I had a beautiful time with all the young musicians, and a ball playing with a great group of Western Canada’s finest jazz musicians. Beautiful country, great people, and swinging music. Back out in the Pacific Northwest only a couple of weeks later for another mix of small group performance and large ensemble soloist work in an educational setting. It was great to play alongside two former students of mine, Jared Hall and Kevin Woods – they gave no quarter in a three trumpet throwdown! Central Washington University in Ellensburg was a gas – I moved the students, the band, conducted by Chris Bruya (father of up and coming bassist and former BL Artist Ensemble member Bob Bruya) sounded wonderful! I had a great time hanging out with CWU trumpet professor John Harbaugh. 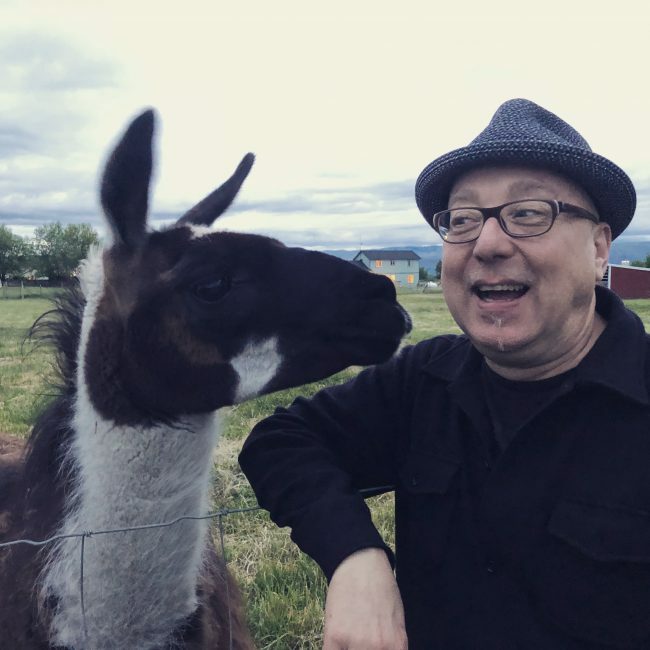 And I made friends with the Bruya’s pet llama, Bandit! 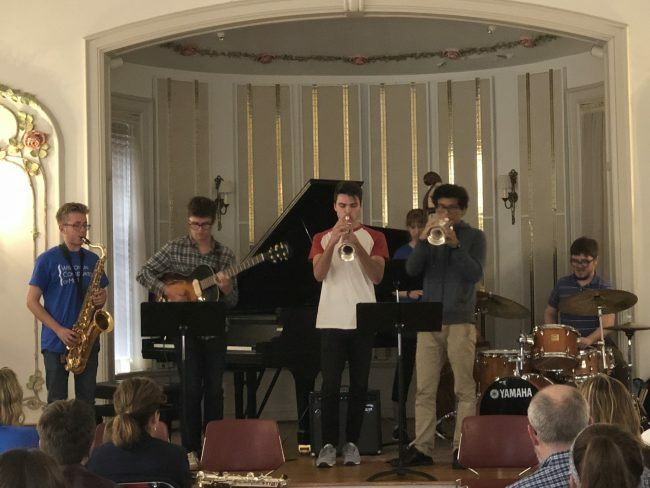 I did a lot of recording in the Frost School Of Music’s Weeks Studio last spring, with my Artist Ensemble, on a duo project with Frost Dean Shelly Berg and for my own group projects. I’m in the middle of a large scale endeavor to re record all my original small group music that I haven’t already put out on my label Hollistic MusicWorks. That’s about 65-70 tunes at last count, and new tunes seem to be coming along that increase the workload. Songbook Vol. 1, recorded earlier on in Pennsylvania with my NYC buddies, and Vol. 2, devoted to the “Afro-Caribbean Side” and featuring my Miami band along with some of my talented proteges, will be coming out simultaneously around the start of the new year. I’m proud of the way this series is coming along! More details to follow! It’s great to hit the road with my Midwest quartet! 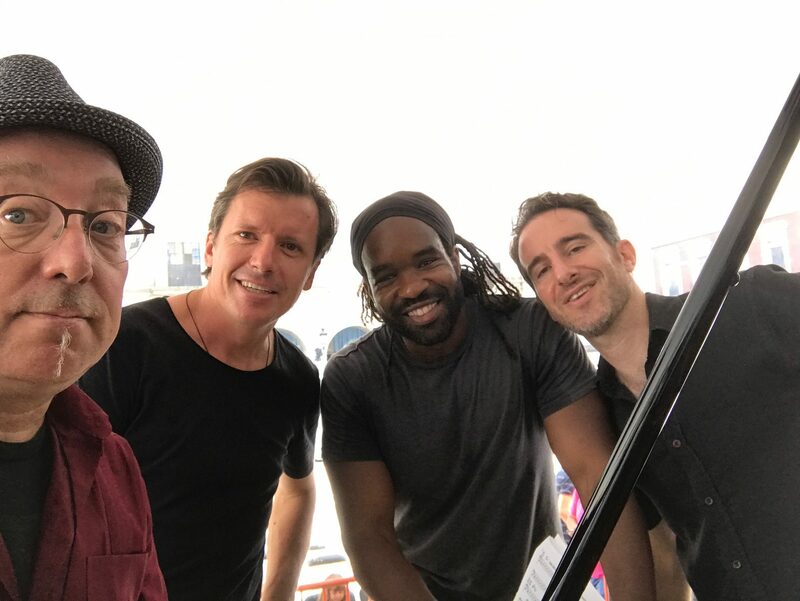 Pianist Mark Davis, who I’ve been especially close with over the last 10 years through our work together with the Wisconsin Conservatory Of Music’s Jazz Institute, and bassist Jeff Hamman know my music so well that nothing need be said or rehearsed in order to have a great gig. And drummer Kyle Swan (a doctoral student at the Frost School, former Artist Ensemble member, and Chicago native) really put the pots on – he’s a swinging, fiery new player to check out, everybody! We’ll be back in the Midwest in November. OK, all – catching up with doings in the last year if anyone’s interested. First off, let’s put 2017 to bed! 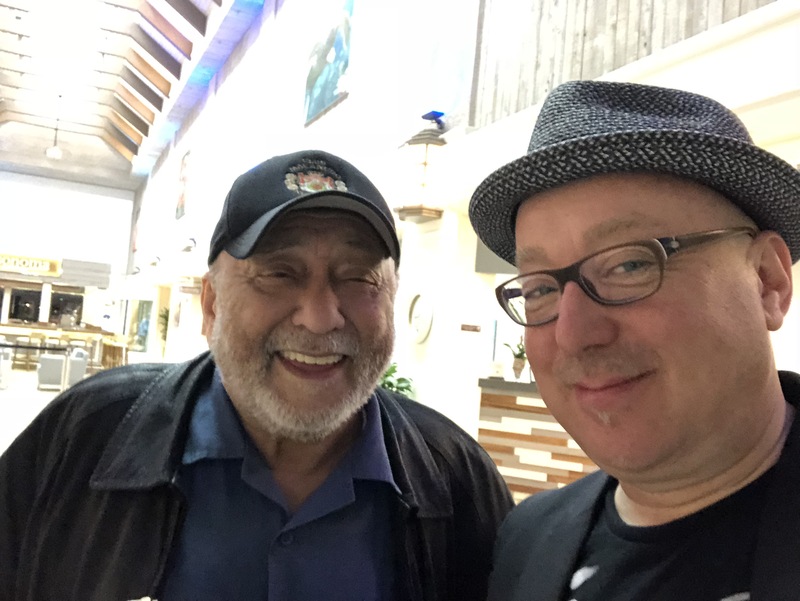 It’s always a honor and a pleasure to play alongside one of the true masters of the music; I’m in as much awe of his artistry and wisdom as when I first apprenticed under him in San Diego all these many years ago. Another master, of my own generation. An inspiration, an influence both musically and personally, and a friend. It’s great to be on the bandstand with you, D! And with a fantastic band to boot! 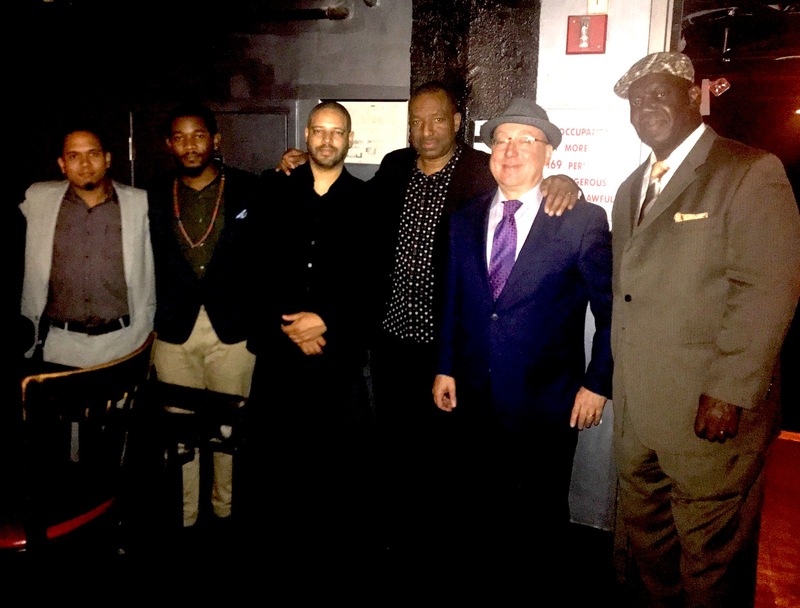 : pianist (and my frequent collaborator) Zaccai Curtis, guitarist Detroit Brooks, bassist Jasen Weaver and drummer Joe Dyson. My favorite club to play at on NYC, starting to become a bit of a home for my ventures. This one nighter was a part of a month long festival of Monk’s music at the Standard, celebrating the maestro’s 100th birthday. On this gig, Spheres Of Influence reflected Monk in Latin-jazz style, with the talents of Zaccai Curtis, brother Luques Curtis on bass, Robby Ameen on drums, and Little Johnny Rivero on percussion keeping it on the real! A great gig with a great audience on hand. 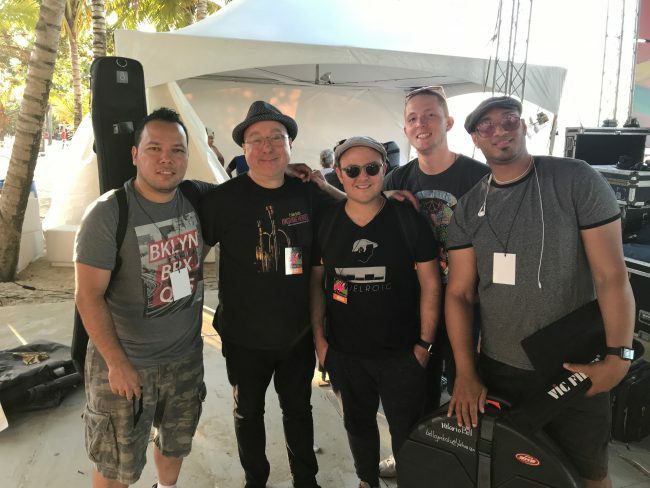 I’ve been spending some time in Miami over the last few years, teaching at the Frost School Of Music and enjoying playing with the amazing musicians in the South Florida community, along with the outstanding students coming out of our school. My Miami Spheres “edition” is the equal of any band I could put together in NYC: Kemuel Roig (piano), Rodner Padilla (bass), Hilario Bell (drums), and Murphy Aucamp (percussion) all killed it on the international stage! 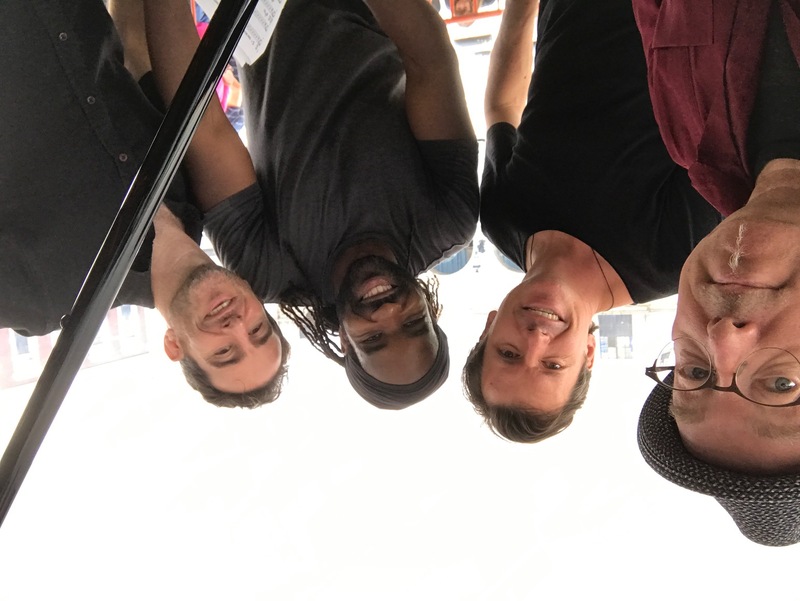 The wonderful Sean Jones joined us on trumpet to play a couple of songs from my recent Grammy nominated Madera Latino album, along with good friend and ace saxophonist Marco Pignataro. An expanded version of the SOI Miami band, featuring a treasure of the South Florida music scene, vocalist and violinist Nicole Yarling, spread hold cheer amongst the lush vegetation at this truly beautiful outdoor venue. It’s been a looong time since I have updated the News page on my website, sent out a newsletter to my mailing list, or otherwise communicated with my modest base of interested folks via “old school” (pre-social media) means. Keeping my web sites updated has always been a uphill battle for me, and in the last few years even more so since my teaching duties kicked into high gear. With the immediacy and ubiquity of Facebook, Twitter, and Instagram dominating how people in my cultural area give and receive information, I often wonder whether it even makes all that much difference whether you have a “real” web site and assiduously keep it up to date. Maybe for some it still does; I know I still really love to read news or especially a blog post from someone who takes the time to put something both interesting and well written together. I’m not sure if I fit in that category. I like writing, but I like practicing the trumpet or composing music more, when I’m not on the bandstand or in the teaching studio. It’s about finding the time for it, as it is in so many things, and more often than not I don’t have enough. The first thing I’ll be working through is a synopsis of my past 12 months: the highlights of my schedule and a bit of musing on states of affairs (take that any way you want since I’m not quite sure what that means myself yet). Trumpeter Brian Lynch and Hollistic MusicWorks are proud to announce their double success in the 2017 Jazz Journalists Association Jazz Awards, the winners of whom were announced on May 17th by the JJA. 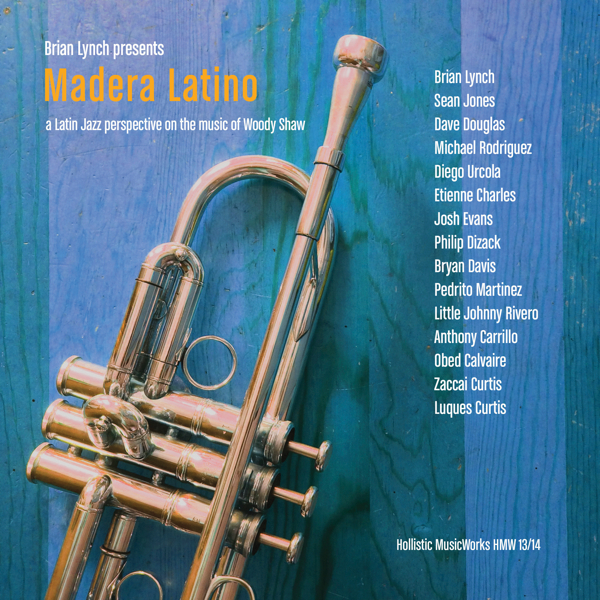 Lynch has been named Trumpeter Of The Year by the association, and his latest recording, the Grammy© Award nominated Madera Latino: A Latin Jazz Interpretation On The Music Of Woody Shaw was named Record Of The Year. 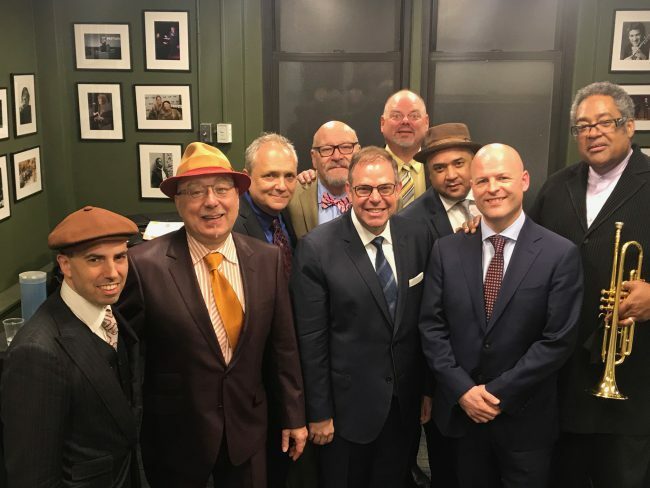 Winners of the 21st Annual Jazz Awards, celebrating 41 categories of excellence in music and music journalism, were determined by the two-stage voting of full JJA members — writers, broadcasters, photographers, videographers and other media professionals engaged in disseminating news and views of jazz. 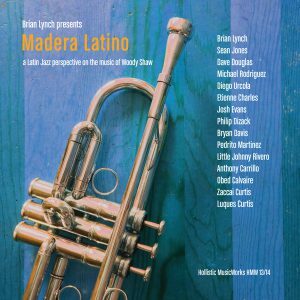 JJA Record Of The Year Madera Latino explores the music of jazz innovator and master trumpeter Woody Shaw, a main influence on Lynch’s work as player and composer, through the lens of authentic Afro-Caribbean rhythm, framed by the loving treatment of his compositions in virtuosic Latin Jazz style by Lynch. 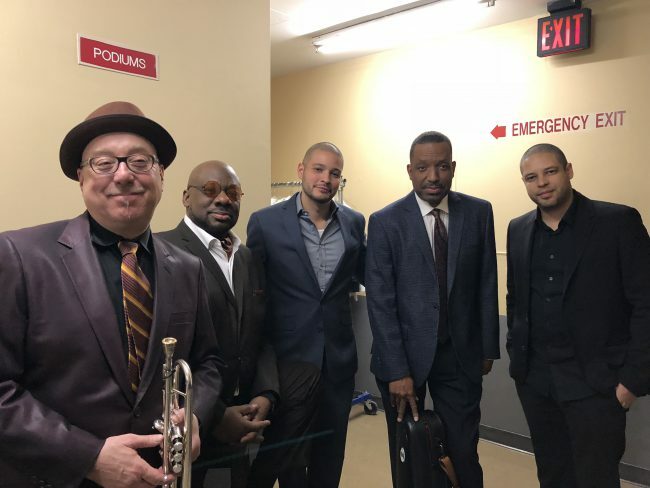 It is also a heartfelt tribute to the genius of Shaw by a all star lineup of today’s top trumpeters: Lynch, Sean Jones, Dave Douglas, Diego Urcola, Michael Rodriguez, Etienne Charles, Josh Evans, and Philip Dizack, along with a truly mighty Latin Jazz rhythm section: percussionists Pedrito Martinez and Little Johnny Rivero, bassist Luques Curtis (all three integral to the success of Lynch’s 2006 CD Simpático, a Grammy@ Award winner in the Latin Jazz category), along with drummer Obed Calvaire, percussionist Anthony Carrillo, and pianist Zaccai Curtis. After 17 albums as a leader on the Criss Cross, Sharp Nine, Ken, EWE, Z’oot Jazz, Nagel Heyer and Artist Share labels, Lynch established his own label, Hollistic MusicWorks, in 2010. Notable releases on HMW besides Madera Latino include his Downbeat 5 star rated Unsung Heroes series (2010–13) legendary drummer Killer Ray Appleton’s Naptown Legacy (2013) and Questioned Answer, a co-led project with rising piano star Emmet Cohen (2014). Hollistic MusicWorks’ new and upcoming releases for the balance of 2017 include pianist Rob Schneiderman’s Tone Twister, with Lynch, Ralph Moore, Gerald Cannon and Pete Van Nostrand; trumpeter Jared Hall’s Hallways, the first release in HMW’s Mentor Series showcasing emerging artists; and Lynch’s own Songbook Vol. 1, featuring Jim Snidero, Orrin Evans, Boris Kozlov, and Donald Edwards. For more information about Hollistic MusicWorks, see the label website at http://hollisticmusicworks.com. Lynch is also active as an educator and is Professor Of Studio Music And Jazz at The Frost School Of Music, The University Of Miami. 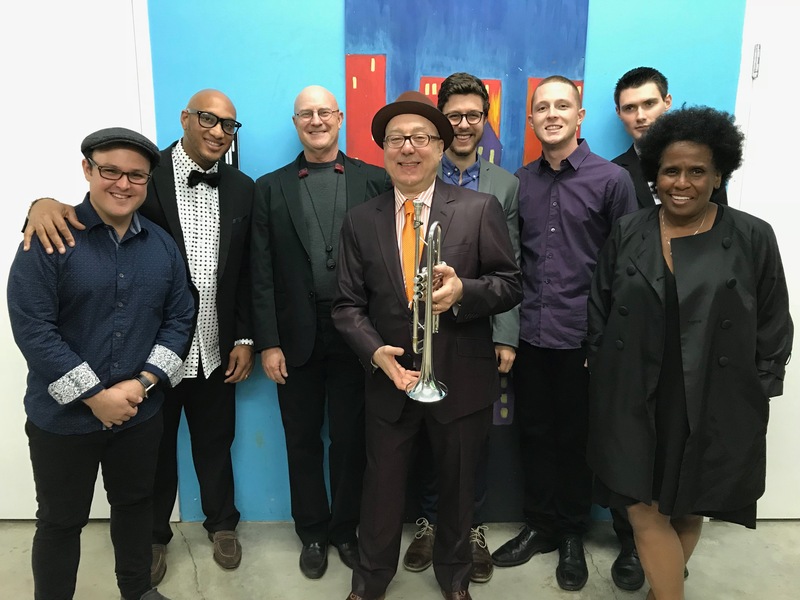 Other educational associations include Artist In Residence for the Wisconsin Conservatory Of Music’s Jazz Institute, and Artist In Residence and Director for Ensamble Tonica, Fundacion Tonica GDL, Guadalajara, Mexico. 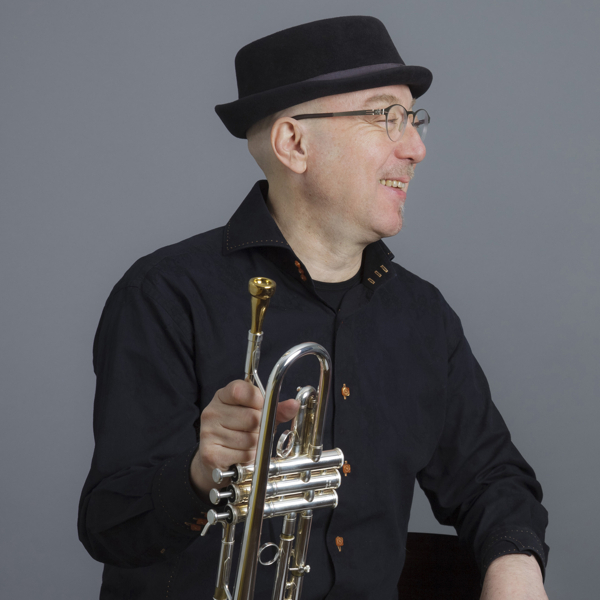 Brian Lynch is a Yamaha Performing Artist and endorses Austin Custom Brass mouthpieces as well as the Lefreque Sound Bridge.